Jazz guitarist Eric Gale was born in Brooklyn, New York on September the ‘20th’ 1938, and by the time he was eleven, had already discovered music. Fittingly, it was guitarist Les Paul that piqued Eric Gale’s interest in music. When he heard Les Paul and his wife Mary Ford on the radio they were on their way to becoming one of the biggest stars of early fifties. Hearing Les Paul inspired Eric Gale to pickup a guitar for the first time. Initially, Eric Gale had a few guitar lessons, and this was enough for him to learn the basics. Mostly, though, Eric Gale was a self-taught guitarist. However, by the time Eric Gale was twelve, he briefly turned his back on the guitar. This came after Eric Gale’s father introduced him to Charlie Parker and Dizzie Gillespie. Suddenly, twelve-year-old Eric Gale was captivated by bebop. Especially how quickly Bird and Dizzy Gillespie could play. Suddenly, Eric Gale wanted to try the saxophone. Eric Gale’s father arranged for his son to start weekly saxophone lessons. However, after a month, Eric Gale decided that the saxophone wasn’t for him. He returned to the guitar, and spent the next few years honing his sound. This would pay off in the long run. Having graduated high school, Eric Gale headed to Niagara University, where he studied chemistry. It was there that Eric Gale realised he didn’t want to pursue a career in science. So Eric Gale left academia behind, and decided to pursue a career as session musician. By then, Eric was in his early twenties, and was a novice in terms of session work. Despite this, he caught a break. Bobby Lewis was looking for a guitarist for the session when Tossin’ and Turnin’ was recorded. Eric Gale got the job, and played alongside saxophonist King Curtis. He was so impressed by Eric Gale that he asked the young guitarist to play on his Old Gold album. By then, Bobby Lewis’ Tossin’ and Turnin’ had reached number one on the US R&B charts in 1961. Eric Gale’s career was underway. After playing on a number one single and King Curtis’ Old Gold album, Eric Gale became a familiar face in New York Studios. He played on sessions by The Drifters, Maxime Brown, Aretha Franklin, Red Holloway, Clark Terry, Jimmy McGriff and Oliver Nelson. By 1967, Eric Gale was accompanying a young Van Morrison, drummer Bernard “Pretty” Purdie, Bobby Timmons and Herbie Mann. Unlike many session musicians, Eric Gale didn’t specialise in one type of music and could pay everything from jazz and soul to rock. That would be the case throughout his career as a session musician. As the seventies dawned, there was no sating Eric Gale’s insatiable appetite for session work. He would have happily spend day and night in the studio. That had been the case in the sixties, and wasn’t going to change in the early seventies. Eric played on a number of sessions for Creed Taylor’s CTi and Kudu label. This included on albums by Quincy Jones, Johnny Hammond, Stanley Turrnetine, Hank Crawford and Esther Phillips. This gave Creed Taylor the opportunity to see and hear Eric Gale at close quarters. He liked what he heard, and in 1973, Creed Taylor signed Eric Gale to his Kudu imprint. No longer was Eric Gale “just” a session musician, now he could add solo artist to his already impressive C.V. His debut solo album was Forecast, which was released later in 1973. Forecast saw Eric Gale joined by some of the Big Apple’s top session players. They stepped up to the plate on an album where cover versions sit side-by-side with Eric Gale compositions. With his all-star band for company, Eric showcased his versatility, veering between jazz, funk, blues and soul-jazz. Prior to its release, reviews of Forecast were positive. Alas, after Forecast only reached twenty-two in the US Jazz charts, it proved to the only album Eric released on Kudu. It was another two years before Eric Gale released his sophomore album, Negril. By then, Eric Gale was living in Jamaica, where he was enjoying a well-earned sabbatical. Despite being on sabbatical, Eric Gale couldn’t stay away from music. and decided to record his sophomore album. He wrote, arranged and produced Negril at Harry J’s Studio in Kingston, in Jamaica. The album was an homage to the beautiful village of Negril and its unspoilt beaches. Once the album was complete, it was released in 1975. 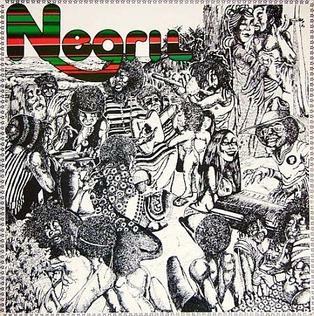 When Negril was released in 1975, listeners discovered an album of laid-back, instrumental reggae. It was a very different album from Forecast, and one that showcased Eric’s versatility. This would be put to good use over the next couple of years. After a three-year sabbatical, Eric Gale returned to New York. When he arrived home, the money had run dry and he was without a job. Fortunately, one of the jazz supergroups were looking for a guitarist, and Eric Gale fitted the bill. Soon, he was member of Stuff. With a lineup that featured bassist drummers Chris Parker Steve Gadd, bassist Gordon Edwards, guitarist Cornell Dupree and pianist Richard Tee, Stuff was worthy of being called a supergroup. Eric Gale played on Stuff’s 1976 eponymous album, and the 1977 followup More Stuff. Still thought, Eric Gale continued to work as a session musician, divided his time between Stuff and session work. Still, he was literally happy to work around the clock, recording studios were like a second home to Eric Gale. During 1976, Eric Gale played on albums by Ashford and Simpson, Stanley Turrentine, Blood, Sweat and Tears, Bob James, Grover Washington, Paul Butterfield, Joe Coker, Patti Austin and Randy Crawford. 1977 was just as busy, with Eric Gale accompanying everyone from Ashford and Simpson, to Tom Scott, Bob James, Esther Phillips, Jun Fukamachi, Idris Muhammad, Yuseef Lateef and Kenny Loggins. However, 1977 was also the year Eric Gale was offered a solo deal by Columbia. For Eric Gale, signing to Columbia meant he could rekindle his solo career which had been on hold for the past couple of years. Since then, Eric Gale’s music had changed his Columbia debut saw him debut a new sound. 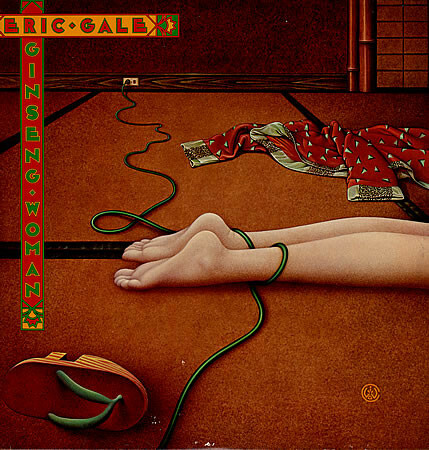 When Ginseng Woman which was released in 1977, Eric Gale’s album of smooth jazz was reasonably well received by critics. 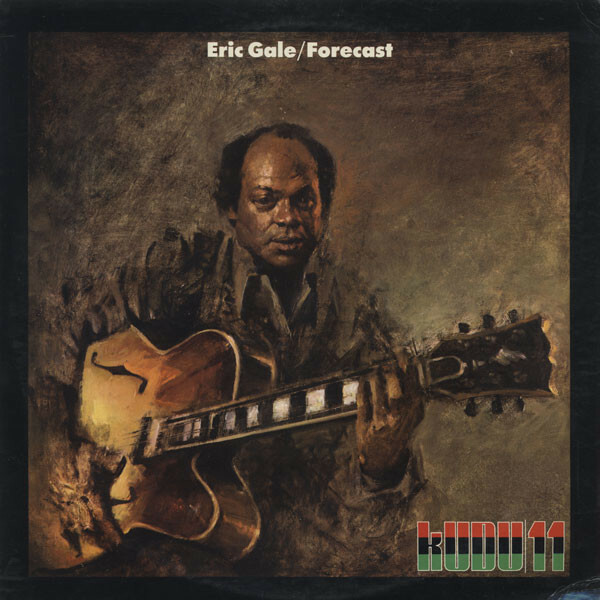 Eric Gale was already one of the finest practitioners of the genre, and it was no surprise when Ginseng Woman reached 148 in the US Billboard 200, fifty-six in the US R&B charts and number seven in the US Jazz charts. This was a good start to Eric Gale’s career at Columbia considering disco was at the peak of its popularity. 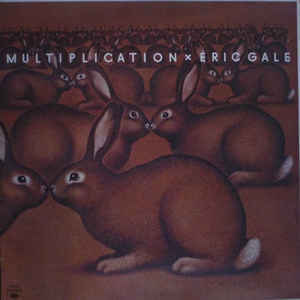 Buoyed by the success of Ginseng Woman, Eric Gale returned in 1978 with his second album for Columbia, Multiplication. Unfortunately for Eric Gale, Multiplication wasn’t as well received as Ginseng Woman. However, as usual, record buyers had the final say. When Multiplication was released, it reached just number six in the US Jazz charts. Multiplication failed to trouble the US Billboard 200 and US R&B charts. For Eric Gale, this was disappointing. Following the release of Multiplication, Eric Gale continued to juggle his various roles. In 1978, he worked with everyone from Carly Simon, to Billy Joel and Thijs van Leer. 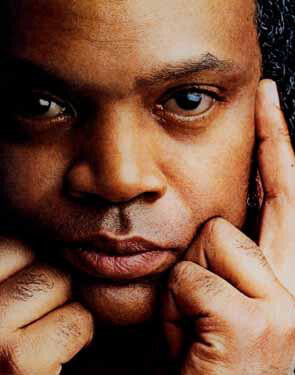 Eric Gale also worked on albums by Loleatta Holloway, Ashford and Simpson and his old friend Bob James. Still, Eric Gale found time to play and record with Stuff. Then there was the small matter of his third solo album for Columbia. 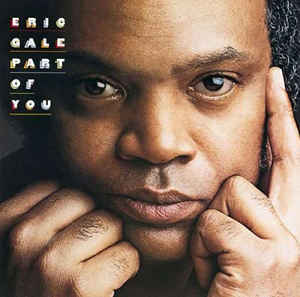 Despite the disappointing performance of Multiplication, Eric Gale returned in 1979 with a new album, Part Of You. Before it was released, this album of smooth jazz garnered positive reviews from critics. Part Of You critics said was a return to form from Eric Gale. Record buyers agreed, and Part Of You reached 154 in the US Billboard 200 and eleven in the US Jazz charts. Part Of You had almost replicated the success of Ginseng Woman, which was Eric Gale’s Columbia debut. Things were looking up for Eric Gale. 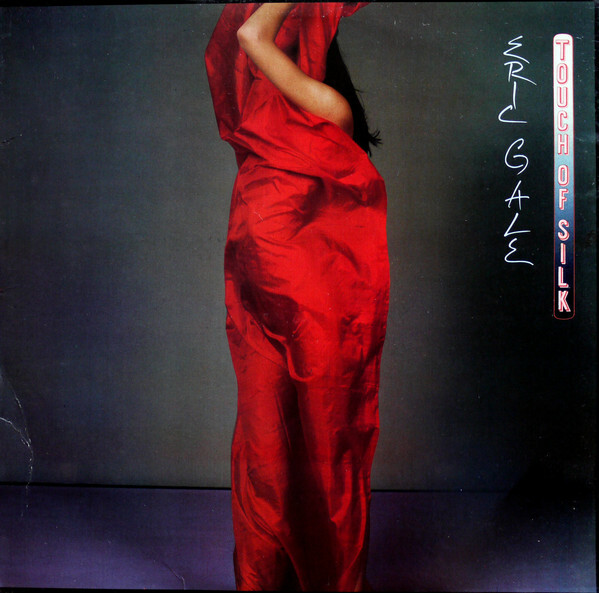 As a new decade dawned, Eric Gale returned in 1980 with his fourth album for Columbia Touch Of Silk. Despite the commercial success Part Of You enjoyed, Eric decided to change a winning formula on Touch Of Silk. He moved away from the smooth jazz of Part Of You, and Touch Of Silk showcases a sound that veered between funky to dark and bluesy. Eric Gale’s decision to change direction was a risky one, and he must have been hoping that it wouldn’t backfire. While Touch Of Silk was well received by critics, record buyers turned their back on the album. The only success Touch Of Silk enjoyed was in the US Jazz charts, where it reached number twelve. For Eric Gale, this was the end of the road at Columbia. With Eric Gale’s time at Columbia at an end, he signed to Elektra/Musician. For Eric Gale this was a new start and he hoped that things were going to be different. He was going to dispense with the big name session players, and bring in an entirely new band. The other change Eric wanted to make, was to produce his albums at Elektra/Musician. First he had to get Bruce Lundvall to agree. The question arose when Bruce Lundvall,who oversaw Elektra/Musician, asked who Eric Gale wanted to produce Blue Horizon. Immediately, and hopefully, Eric Gale through his name into the hat. To Eric’s delight, Bruce Lundvall agreed. Now Eric could and would explore various different musical genres. For what became Blue Horizon, Eric Gale wrote Blue Horizon, Mako D’Amour and 97th and Columbus. Wait Until The City Sleeps was penned by Gene Ritchings and Mark Mazur while When Tokyo? was a Clive Phillips and Nasser Nasser composition. Peter Schott of Kid Creole and The Coconuts wrote Clock-A-Pa and cowrote Call Me At The Same Number with Winston Grennan. These seven songs were recorded by Eric’s new, hand-picked band. Recording of Blue Horizon took place at House Of Music, New Jersey. The new band’s rhythm section featured drummers Freddie Waits and Winston Grennan, bassist Neddy Smith and rhythm guitarist Mark Mazur. They were joined by keyboardist Peter Schott, percussionist Nasser Nasser and Hugh Masakela on flugelhorn. Eric Gale took charge of lead guitar and produced Blue Horizon. Once recording of the album was complete, Blue Horizon was released in 1982. Before that, critics had their say on Blue Horizon. They were surprised, but welcomed such an eclectic album. It was as if Eric had been reenergised by the move to Elektra/Musician. Despite this, Blue Horizon only reached twenty-nine on the US Jazz charts. This was a disappointment for Eric Gale and everyone involved. Record buyers had missed out on an album that featured Eric Gale with a new-found musical freedom. He was allowed to explore new musical genres on Blue Horizon, a truly electric album that featured elements of blues, Caribbean, disco, dub, funk, jazz, pop and reggae. Elektra/Musician had afforded Eric Gale the freedom he longed for. 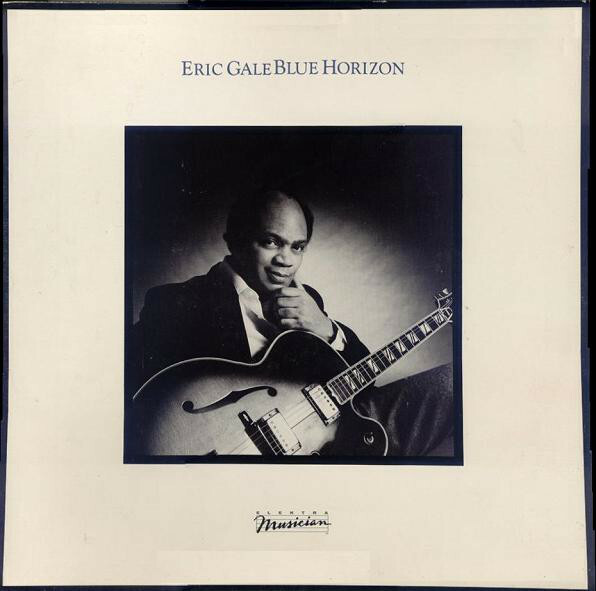 With his new band, Eric Gale explored a variety of disparate new musical genres on Blue Horizon. He sounds as if he’s been reinvigorated, and as a result, delivers a series of almost flawless performances. Sadly, very few people heard Blue Horizon, which became one of the hidden gems of Eric Gale’s back-catalogue. However, later in 1982, Eric Gale returned with another solo album. 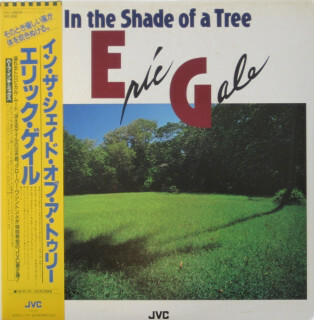 After releasing Blue Horizon, Eric Gale released In The Shade Of A Tree in Japan later in 1982. Stylistically, the album was similar to Blue Horizon, and was well received in Japan. In The Shade Of A Tree also sold well in Japan, where Eric was a popular artist. It was ironic that Eric Gale’s music was more popular halfway around the world than in his home country. Maybe his next album for Elektra/Musician would see Eric Gale’s fortunes improve in America? Having released In The Shade Of A Tree, Eric Gale was constantly busy with various projects. He was a member of the NY-LA Dream Band, and had toured Japan with them. Then on his return, he had only a few days before he headed out to Montreux to record a live album. On his return, Eric Gale’s thoughts turned to his next album for Elektra/Musician. For what became Island Breeze, Eric chose four cover versions. This included Bob James’ Boardwalk and Dark Romance. The other covers were Joe Sample’s My Momma Told Me So and Jeff Medina’s Island Breeze. Eric Gale’s new musical director Jimmy Kachulis penned We’ll Make It, Sooner Or Later and I Know That’s Right. These songs were recorded by a new lineup of Eric Gale’s band. Since the recording of Blue Horizon, the lineup of Eric’s band had changed quite dramatically. The rhythm section now featured drummers Webb Thomas and Joey DeFrancesco bassist Neddy Smith and rhythm guitarists Mark Mazur and Jimmy Kachulis. They were joined by keyboardists Ted Lo and Andy Schwartz. This new lineup headed to Rosebud Recording Studio, New York, where Eric Gale took charge of production and played lead guitar. Once Island Breeze was complete, the album was released in 1983. Before the release of Island Breeze, critics had their say on the followup to Blue Horizon. The reviews were positive, with critics enjoying an album of music that ranged from beautiful ballads to smooth fusion to reggae, funk, jazz and soul. For many, the uber funky, dancefloor friendly I Know That’s Right which closed Island Breeze was the highlight of the album. When Island Breeze was released, it reached just thirty-five on the US Jazz charts. This was a huge blow for Eric Gale, especially considering the quality of music on Island Breeze, which brought Eric Gale’s career at Elektra/Musician to an end. 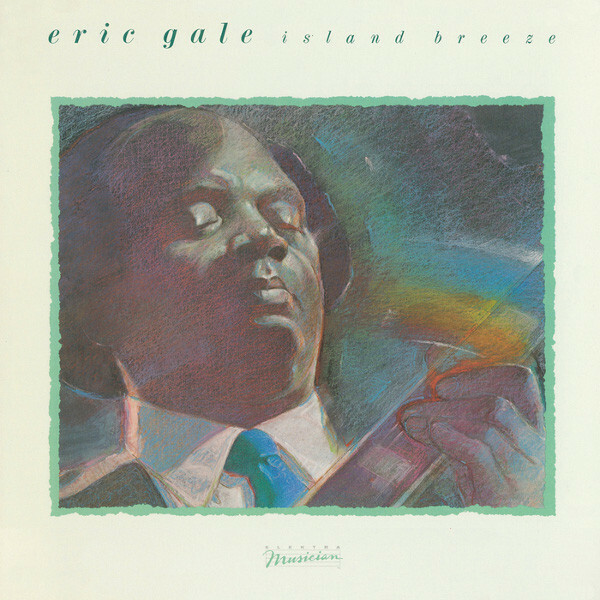 For Eric Gale, Island Breeze marked the end of the most productive period of his solo career. 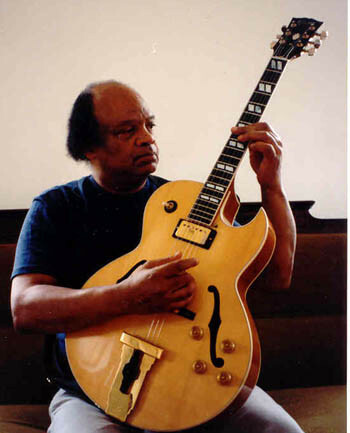 Between 1973 and 1983 Eric Gale, who is regarded as one of the greatest jazz guitarists of his generation, released nine albums. These albums contain the best music of Eric Gale’s solo career, and are the perfect starting place to newcomers to his music. Sadly, many of these albums failed to find the audience that they deserved, and Eric Gale remains one of jazz’s best kept secrets. Many people will know the name Eric Gale through his work as a session musician. During his career Eric Gale played on over 500 albums, accompanying the great and good of music. From 1967 to 1994 Eric Gale was the go-to guitarist for many musicians. Eric Gale was a truly talented and versatile guitarist who could switch seamlessly between genres, even in mid-song. This he often did on the eleven albums he released during his recording career. Sadly, Eric Gale’s career was cut tragically short when he passed away on May the ‘25th’ 1994, in Baja California, Mexico, asked just fifty-five. That day, music was robed of one of its most talented sons, Eric Gale, who left behind a rich musical legacy, including the nine albums he released between 1973 and 1983, which was the most prolific and successful period of his solo career. ← STEVE YOUNG-THE STORY OF A MUSICAL PIONEER AND FREE SPIRIT.